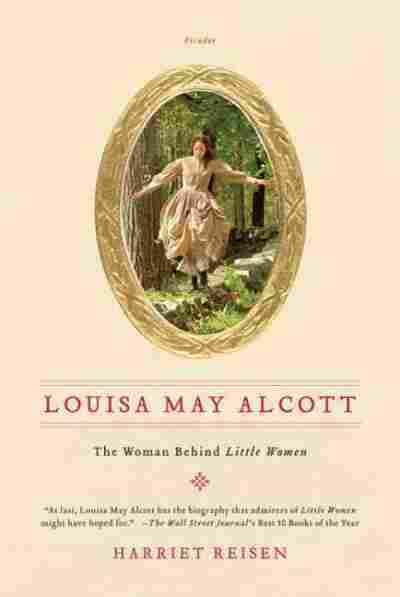 Alcott: 'Not The Little Woman You Thought She Was' For many readers, Louisa May Alcott is synonymous with her most famous character, Jo March, the spirited sister in Little Women. But author and filmmaker Harriet Reisen says Alcott's life "was no children's book." Reisen's The Woman Behind 'Little Women' premieres Monday night on PBS. 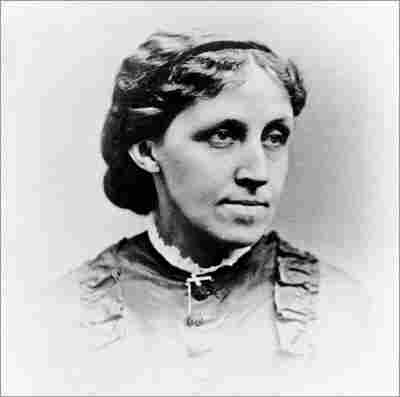 Though Louisa May Alcott is often associated with the sweetness of her characters in Little Women, she was a tough woman, shaped largely by her experience growing up in poverty. The beloved writer wrote what she called "moral pap for the young" because it paid well. Let's get one thing straight about Louisa May Alcott: "She's not the little woman you thought she was, and her life was no children's book," says Alcott scholar Harriet Reisen. For many readers, Alcott is synonymous with her most famous character, Jo March, the spirited sister in Alcott's classic Little Women. The beloved writer's real life is the subject of a film written and produced by Reisen, Louisa May Alcott: The Woman Behind 'Little Women' — based on her book by the same name. The film, directed by Nancy Porter, premieres Monday night on PBS' American Masters. Reisen says that Alcott's life experience was dark and atypical, but she marketed a more wholesome image. "Louisa made herself a brand," Reisen tells NPR's Linda Wertheimer. "She suppressed the fact that she had written pulp fiction that included stories about spies and transvestites and drug takers." Alcott grew up in an extraordinary political atmosphere, thanks to her father, Amos Bronson Alcott, who was a forward-thinking educator. He was friends with some of the most influential thinkers of his time — and yet he never managed to earn a living or take care of his family. "As Louisa put it, he was a man in a balloon, with his family holding the ropes trying to hold him down to Earth," Reisen says. "He seemed to live on air and in the air, and had no concern about earning a living. It didn't seem to bother him that his family was literally starving." Still, Bronson Alcott's friends included the likes of Nathaniel Hawthorne, Henry David Thoreau, Henry Wadsworth Longfellow and Ralph Waldo Emerson. 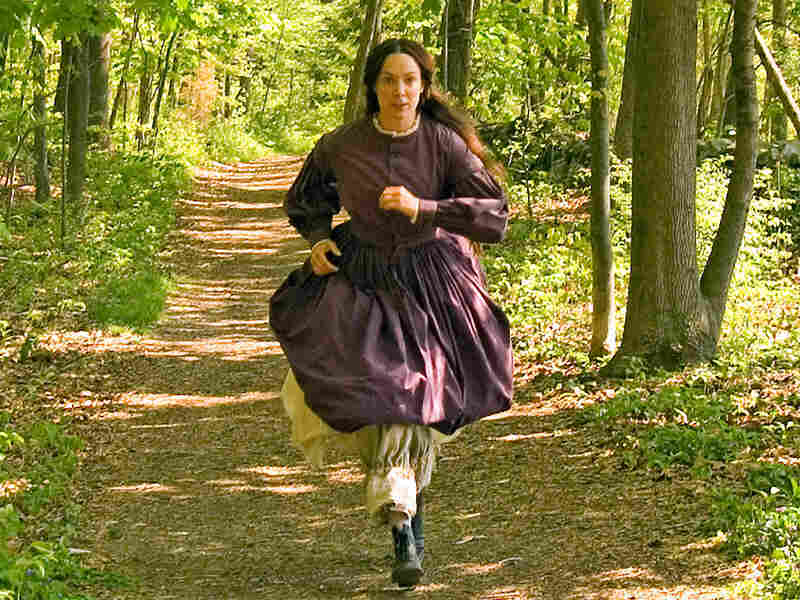 In The Woman Behind Little Women, Elizabeth Marvel plays Louisa May Alcott, who loved to run. "He was an idealist ahead of his time, and people like Emerson saw that," Reisen explains. "He guided himself by his own stars." His interests greatly influenced his daughter. Bronson Alcott was interested in Eastern religions, and toward the end of her life, Reisen says, Louisa confessed that she believed in reincarnation. The March family in Little Women was not wealthy — they lived in genteel poverty. But the real Alcott family lived in dire need. "Lively, simple books are very much needed for girls." "It was a very bold move for Louisa to go to Paris unaccompanied." "I think my natural ambition is for the lurid style." "I long for battle, like a war horse when he smells powder." "They really ate bread and water for stretches," Reisen says. "[Louisa] was hungry, and she worked to rescue her family from poverty. Part of her story is a real Horatio Alger rags-to-riches tale." From the time she was young, Alcott vowed that she would see to it that her family would not be poor. Just after she turned 11 years old, she wrote: "I wish I was rich, I was good, and we were all a happy family this day." The high-mindedness of the fictitious March family contrasts starkly with Alcott's real-life motivations — she was driven, in large part, by the desire to not be poor. "She said, 'Money is the means and the ends of my mercenary existence,' " Reisen says. "She wrote what she called 'moral pap for the young' because it pays well." Alcott's Hospital Sketches — a collection of letters she wrote as a nurse in a Civil War hospital in Washington, D.C. — was a departure from this pattern. "It was a breakthrough because she wrote from what she knew," Reisen says. "She had been writing flower fables, children stories and sentimental stories for story papers ... Hospital Sketches was based on this dreadful but fascinating experience she had ... in the aftermath of the bloody Battle of Fredericksburg." When Alcott left to do her stint of nursing, her father quipped that he was "sending his only son to war." 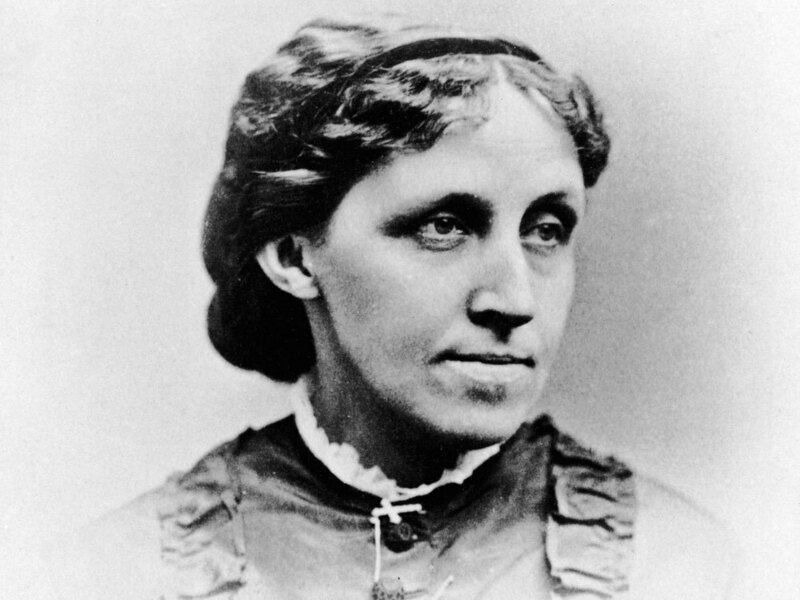 Reisen says that Louisa May Alcott was not only the breadwinner — a classically male role at the time — but, when her younger sister died, she also took on the role of the daughter who does not marry and takes care of the aging parents. Still, in many ways, Alcott was a feminist — she remained unmarried, earned money and was in control of her situation. "I'd rather be a free spinster and paddle my own canoe," Alcott said. "She saw her mother really dependent on this improvident husband," Reisen explains. "She saw the position of most married women — who she felt were marrying as an economic solution ... and she said, 'I love luxury, but freedom and independence better.' 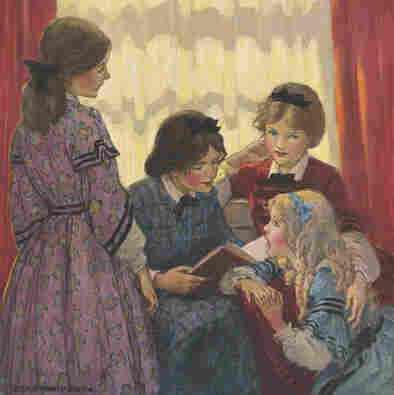 "
Though many readers associate Alcott with the sweetness of Little Women, Reisen says Alcott's legacy — and Jo March's, too — is really about the empowerment of women and girls around the world. "Jo March was a very flawed, passionate character who did not always do right," Reisen says. "[She] made lots of mistakes and succeeded and drove herself and didn't pay attention to the things girls weren't supposed to do." In her research, Reisen says she came across a comment from a Korean woman who said simply, "You don't grow up to walk two steps behind your husband when you've met Jo March." In the time since Little Women was published in 1868, Reisen says she believes a countless number of women have — as Alcott put it — "resolved to take fate by the throat and shake a living out of her."